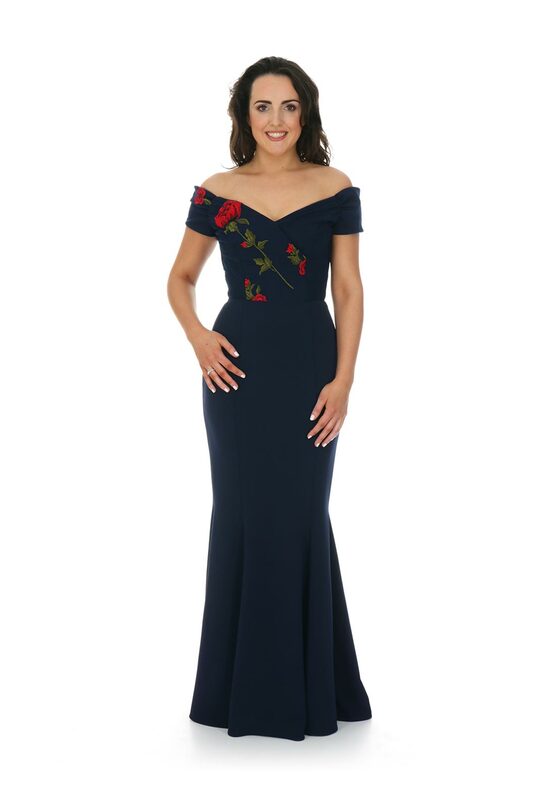 A show stopping choice for a formal event, the navy Fatale long dress features a beautiful red rose print embroidered on the bodice. Styled with a figure fitting shape which flares into a fishtale hem. Made from comfortable stretch crepe fabric which is fully lined. Add a faux fur wrap and high heels to complete the look.